Welcome to the Town of Wrightstown! 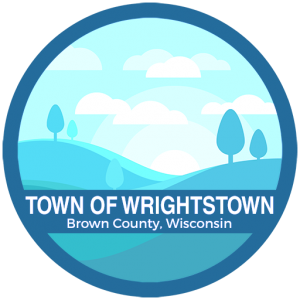 The Town of Wrightstown has completed the process of updating its Comprehensive-Plan. A comprehensive plan is a document that provides a wealth of background information about the Town and sets forth the Town's vision for the next 20 years for such issues as land use, transportation, housing, economic development and utilities. Under state law every community (town, village, city, county) that regulates the use of land through a zoning ordinance, land division ordinance, official map or shore land zoning must have an up to date comprehensive plan. The updated Town of Wrightstown Comprehensive Plan was adopted by the Town Board on December 19 2018. Running through the Town of Wrightstown is the Niagara Escarpment, a geographical present from the Ice Age. In the 19th century, as settlers moved to the area, they needed crushed rock for building and the limestone cliff proved accessible. The quarry soon saw high enough volume to warrant running a rail line into it. Supporting businesses such as restaurants, hotels, barbers, and even a post office sprung up around it. The rail no longer runs, but the unincorporated sanitary district known as Greenleaf became an important stopover in Southern Brown County. It now supports several hundred residents, a bank, a post office, a restaurant, several small businesses and a couple of taverns. Meanwhile back in the countryside around Greenleaf, small farms were springing up. Many of these farms developed into what are now large, family-owned dairy businesses with supporting businesses such as trucking, feed and grains, cash crops, veal farms, etc. Greenleaf, in the middle of the Town, sits ideally between Green Bay and the Fox Valley, making both areas easily accessible. It's in the Wrightstown Community School District with access to both Lutheran and Catholic private schools and churches. The Fox River Trail for biking and hiking runs from Green Bay to Forest Junction right along Highway 57 and straight through the heart of the town. The 33 square mile area has a small town flavor with many descendents of the original settlers still living in the town. The countryside is a pleasing mix of rolling hills, woods and farmland dotted with homes and small subdivisions. High Cliff State Park with camping, a lake, a golf course, and hiking trails is only 20 minutes away by car. Parts of the town stretch across Highway 41 and reaching two golf courses -- Hilly Haven and Mid Valley. At the foot of the Niagara Escarpment is LedgeStone Vineyard where one can enjoy a glass of wine with a view of the ledge. For outdoor activities, there is golfing, fishing, hiking, biking and hunting available. In the winter, residents enjoy snowmobiling and cross country skiing. Early settlers found it a pleasant place to live and 21st century residents do as well!